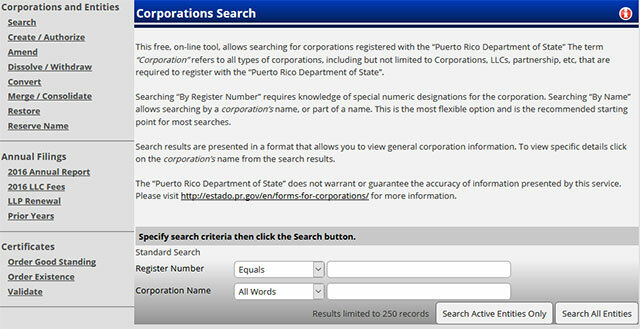 The Secretary of State of Puerto Rico facilitates an online search tool for the registered business entities in the state where users can get all the details related to entities that are registered with the Puerto Rico SOS. The databases can be searched provided you have the registration number or the business entity name available with you. 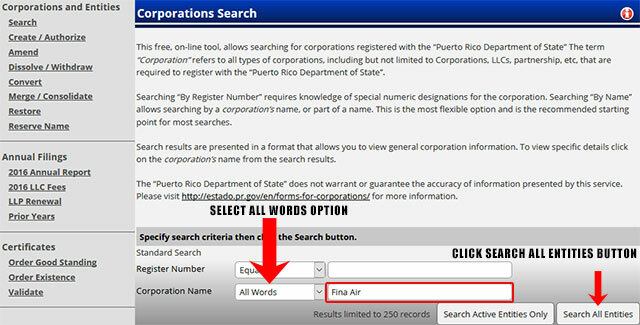 Below is a step by step guidelines on how to use the Puerto Rico business search tool. 1. The first step is to access the Puerto Rico business search page by clicking here. The page looks similar to the screenshot given below. 2. The business page allows you to search by register number or by corporation name. For this example we will be searching by Corporation Name. In the text field type in "Fina Air". The form also provides a drop down to search "All Words", "Any Word", "Starting With" and "Exact Match" to help widen or narrow your search. For this example go ahead and select "All Words" and then click the "Search All Entities" button as illustrated in the screenshot below. 3. Once you click the "Search All Entities" button, it will then display a list of results that match your search criteria. It will show the registry number, corporation name, class, profit and status for each business entity found. 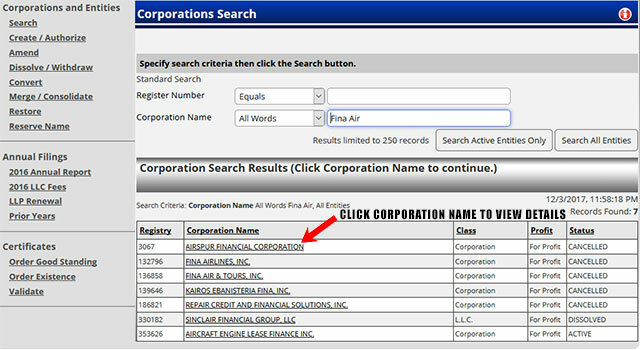 To view the details for a business entity, click their corporation name as illustrated in the screenshot below. 4. When you click the corporation name to view the details of the business you selected, it will then show you information for that business including their register number, class, type, status etc. You can also see all the articles available for that business, annual filings and any certificates as shown in the screenshot below. The Secretary of State of Puerto Rico is also known as the Lieutenant Governor of the state and has a broad set of responsibilities to serve. The position was created by the Constitution of Puerto Rico and the Puerto Rico Secretary of State is appointed by the governor. 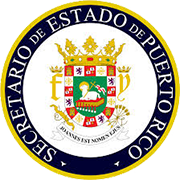 In the absence of the Governor or when he is unable to perform his duties, the Secretary of State of Puerto Rico serves as the acting governor. The current office holder is David Bernier. The Secretary of State of Puerto Rico is responsible for a broad set of duties that include promoting culture, economy and education in the state along with strengthening the relation of the state with other nations. In the recent times, the Secretary of State of Puerto Rico has also evolved into the position of a foreign minister looking after the relations of the state with others and also promoting his own state in various fields.